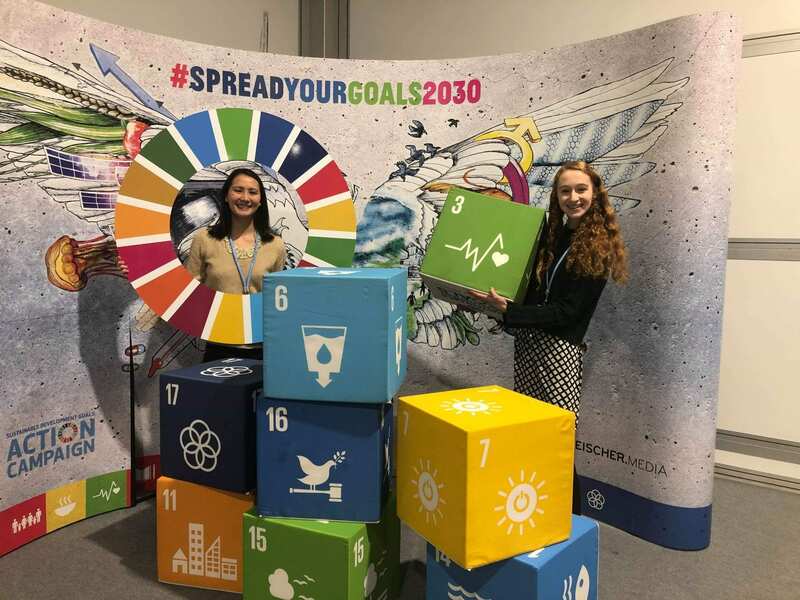 Each year, Tufts Institute of the Environment (TIE) sends delegates to represent Tufts University at the United Nations Framework Convention on Climate Change (UNFCCC) annual Conference of the Parties (COP) . Through their status as observers, the Tufts delegates gain important insight into the discussions that frame global climate change policy and action. Attending this event has long impacted faculty and student research and continues to shape Tufts' sustainability policy. ALL members of the Tufts community, including undergraduate students, graduate students, faculty, staff and alumni, are eligible to apply to attend COP. In addition to attending the vital discussions of the event, the Tufts delegates can participate in several activities, such as exhibits, side events, and a daily newsroom that provides regular, on-going communication and updates on COP decisions. Whilst at the conference, and upon their return, delegates in turn share the outcomes of this once-in-a-lifetime experience with the wider Tufts community. If you're interested in attending the upcoming COP, Apply Now through Tufts' International Safety and Operations website! First round applications to be a Tufts delegate for COP25 will be accepted until 15 June 2019. You may be timed out after inactivity, so use the link above to re-navigate to the page if this happens. Questions? Please contact Jill Parlee, Assistant Director of Programs by email or at 617-627-3645. Because ALL Tufts members are eligible to attend this event, TIE often receives more first round applications than the quotas (i.e. number of delegate badges) that are allocated to Tufts by the UNFCCC. When this happens, a second round of applications is triggered and an interdisciplinary selection committee of Tufts faculty and staff is convened to review these applications. The selection committee will consider: (i) professional and academic background, (ii) interest in the event, (iii) plan to secure funding, and (iv) expected contribution to Tufts’ participation at the event and upon return to the Tufts community. Preference is given to students who have not attended a COP event previously as a Tufts Observer and who are in the last year of their studies. Additionally, interdisciplinary diversity will be considered in convening the delegation. In order to maximize the number of participants that can be sent to COP as Tufts Observers, the quotas allocated to Tufts are typically divided between the first and second weeks of this two-week conference. During the second round of the selection process, applicants will be asked to choose which week they would like to attend (Week 1 or Week 2). For some past events, the UNFCCC has divided COP into two "zones": one zone that includes the plenary halls and meeting rooms designated specifically for the negotiations, and another zone to accommodate climate action events including side events, exhibits, media activities and country pavilions. At this time, the UNFCCC has not announced whether COP25 will be organized into one or more zones, but please be aware that Tufts may receive varying quotas for each zone. All attendees are expected to secure funding for their own, individual, travel needs (i.e. airfare, lodging, meals, etc.). During the second round of the selection process, applicants will be asked if they have secured funding or not. Please visit TIE's "Funding" page here to browse funding resources available at Tufts. Spring 2019: Once the COP location and dates have been announced, TIE solicits initial interest from Tufts members with a simple, first round application. 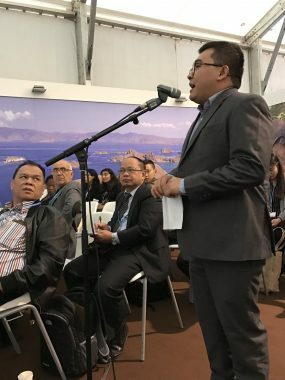 June - July 2019: Once TIE receives the UNFCCC's quota(s) for the Tufts delegation, TIE will compare initial applications with the number of badges made available by the quota(s) to determine if a selection committee must be convened. August - September 2019: If necessary, TIE will initiate the second round of applications, and applications will be sent to the selection committee for selection of the delegates. TIE will host a Q&A session for applicants. September - October 2019: Applicants will be notified of their selection. Delegates will confirm their attendance by providing proof of travel. TIE will confirm all Tufts delegates in the UNFCCC's registration system. TIE will also coordinate pre-departure briefings for the Tufts delegates. November 2019: COP25! TIE will host a de-briefing and dissemination session upon the Tufts delegation's return in order for the delegates to reflect on and share their valuable experiences with the wider Tufts community. 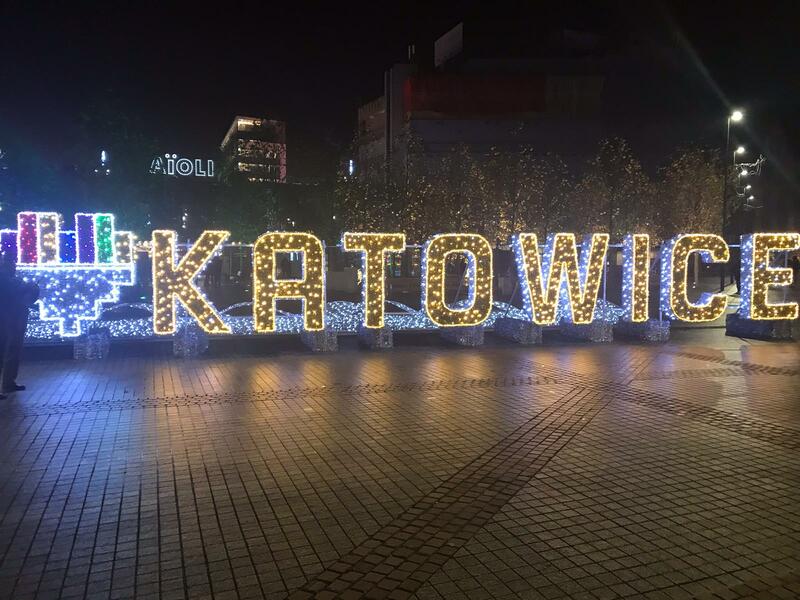 The 24th Conference of the Parties (COP24) was held 2-15 December 2018 in Katowice, Poland. Ten (10) Tufts students, faculty, staff and alumni represented Tufts at this event. "It was an honor to attend COP24 as a Tufts delegate. There was a sense of solidarity among the many students attending the conference, and I was glad to represent Tufts University. As I look toward launching my career post-graduation the opportunity to attend side events, observe negotiations, and network with such a vast array of climate change actors was invaluable. Attending the conference solidified my passion for working in this field, and I felt like I had a window into what my future could hold." 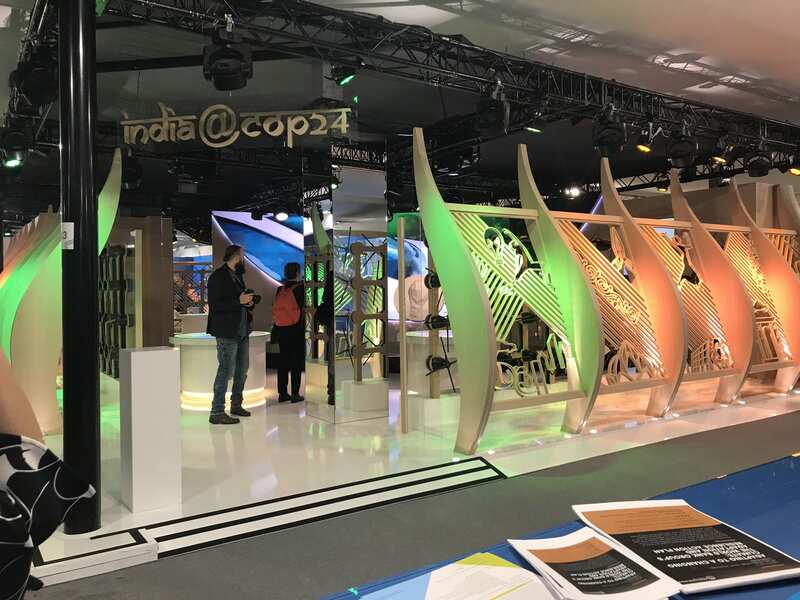 Eliot Martin, a graduate student at the Friedman School of Nutrition Science and Policy, provides insight into the events at COP24 in the Indonesia Pavilion. Eliot states that, “Indonesia now finds itself in a no-win position with a commodity that has become the backbone of its rural economy,” in regards to the extensive palm oil production occurring in the country. Read more here. 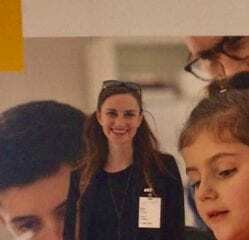 Allison Meyer, a graduate student at Tufts University in the Friedman School of Nutrition Science and Policy, writes about her first week at the COP24, emphasizing that the least privileged people are often the ones most affected by the effects of climate change. In particular, Allison discusses a panel she attended that focused on the displacement, loss of home, and loss of culture for the people of Tuvalu and indigenous communities in Alaska. Read more here. Helen Mizrach, Tufts University undergraduate student, discusses her third day at the COP24. Helen describes a day focused on her primary interests: the intersection of climate change, food systems, and health. Read more here. 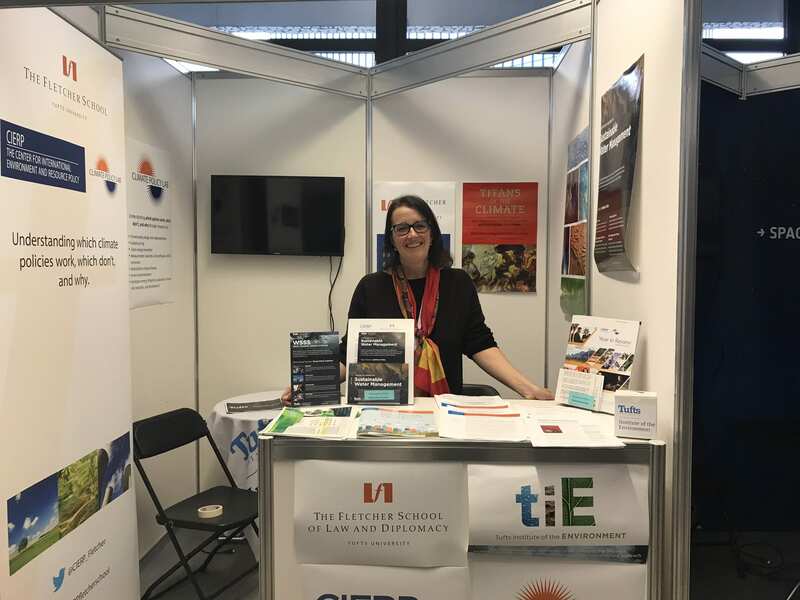 Fletcher student, Grace Tamble, discusses her third day at the 24th Conference of the Parties to the United Nations Framework Convention on Climate Change (COP24) in Katowice, Poland. Grace describes attending a hearing from IRENA, the International Renewable Energy Agency, as well as other events that focused on the theme of energy transition, while also mentioning Katowice’s deep history of coal mining and its impact. Read more here. 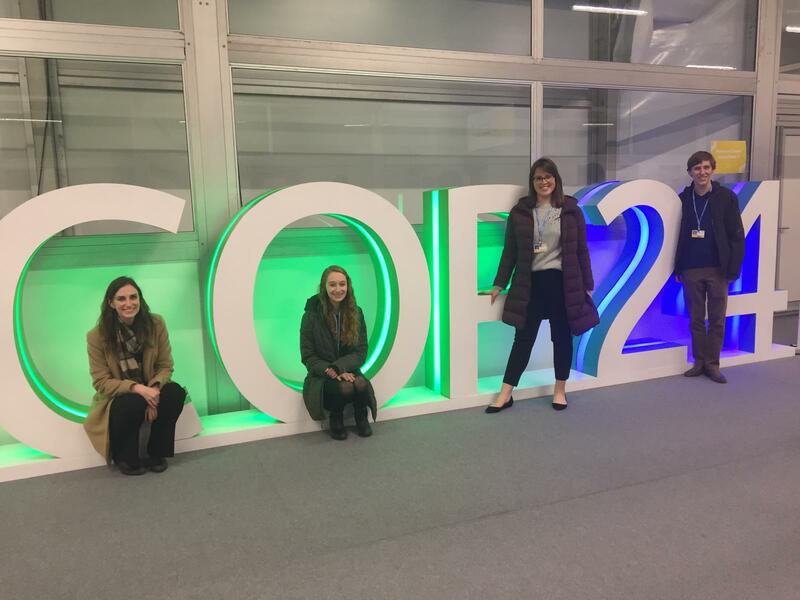 Helen Mizrach, an undergraduate student studying Biopsychology with a minor in Food Systems and Nutrition at the School of Arts and Sciences, describes her first day at the COP 24. Helen provides details on the opening ceremony, the inauguration of the Climate Action Hub, a compelling discussion about the intersection of religion and climate change by Gyalwang Drupka, and a workshop on agriculture. Read more here.